Yes, I know; these are the worst pictures of blogging's history! Not only I don't have a good camera, here in Sicily it's so hot that it's impossible to stay under the sun for more than 10 minutes unless you're at the beach! That's because we've taken these pictures at my terrace, the lighting was terrible and I was so sweaty and tired that the pictures came out this way, awful! May you forgive me, please? However, I got this dress last year on sale, it's by Desigual, a brand that I love because it makes the most original coloured and patterned pieces, it really reflects my style! Do you like Desigual?? Si ne sono consapevole; queste sono le peggiori foto della storia dei blog! Non solo non possiedo una buona fotocamera, qui in Sicilia c'è un caldo così insopportbile che stare più di 10 minuti al sole è impossibile, tranne che non ci si trovi al mare! Ecco perchè ho dovuto scattare queste foto prima di uscire, sulla terrazza di casa mia; l'illuminazione era terribile ed ero così sudata e stanca che le foto sono venute a dir poco oscene! 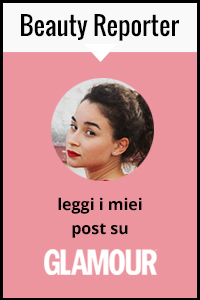 Mi perdonate, vero?? Tralasciando questa spiacevole introduzione, che ne dite di questo abito? L'ho trovato in saldo l'anno scorso ed è di Desigual, un marchio che amo perchè crea capi colorati e con stampe davvero originali, è un brand che per certi versi rispecchia molto il mio stile e la mia personalità. Vi piace questo marchio o lo trovate troppo eccentrico? I actually really love the photography of these photos! They look very 70s or American Apparel style. You look lovely! I adore your hair! Happy to have found your blog and I've followed you! Would love if you'd peek at mine as well! What a great fresh and cute look for the summer! Love the dress. You look gorgeous! Nothing wrong with the pictures. PS: don't forget to check my blog and join my GIVEAWAY. dI think you are being a bit hard on yourself, you look fab and I LOVE your hair! La robe est chouette! J'aime beaucoup! love your dress & blog..you look great! Despite the heat the dress still looks amazing! You look so beautiful in this dress!So cute! Soy Elisabeth, me paree que eres guapisima! J'adore la robe! Tres belle! J'aime le sa aussi! Nice bag and cute hairstyle you have! Really amazing look~! I am crazy about your bag~!